Orange is a fruit that is highly preferred by everyone from the children to adults. Of mostly sweet taste that attract everyone's tongue to taste the citrus fruits. It is common knowledge, that orange is one source of vitamin C which is good for our bodies. So, what are the benefits for the health of the devastating citrus ... ??? 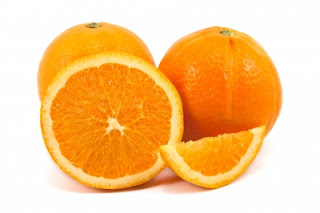 The first benefit that orange is very good for preventing cancer such as skin cancer, breast, lung, mouth and colon. This is because citrus fruits containing D-limonene which is a compound that is very good for preventing various cancers. For those of you who have problems with high levels of kolersterol, then consume grapefruit is one solution that you can take. This is because, citrus fruit contains Hesperidin and Pectin. both substances are very good for lowering cholesterol levels in your body. You have high blood pressure ... ??? Then consume citrus fruits are also very good for lowering high blood pressure. This is because citrus fruit contains Hesperidin and magnesium which serves to lower your high blood pressure. You experience arthritis or stiffness in muscles and joints .... ???. Then consuming fruit juice is an alternative that you can take. This is because citrus fruits are proven to reduce inflammation in the joints or stiffness in muscles and joints. Citrus fruit turned out very well for the development of your brain. This is because citrus fruits contain folic acid which is a substance that is very good to help the development of your brain. The next benefit is, citrus fruits are also excellent for strengthening your immune system. This is because citrus fruits are good sources of vitamin C. Vitamin C functions which stimulate the production of white blood cells in our body. So it is very good and can boost the immune system in our body. Citrus fruits also contain antioxidants. The function of antioxidants that can help protect the skin from damage caused by free radicals So it will be more durable muda.dengan diligently consume these citrus fruits.